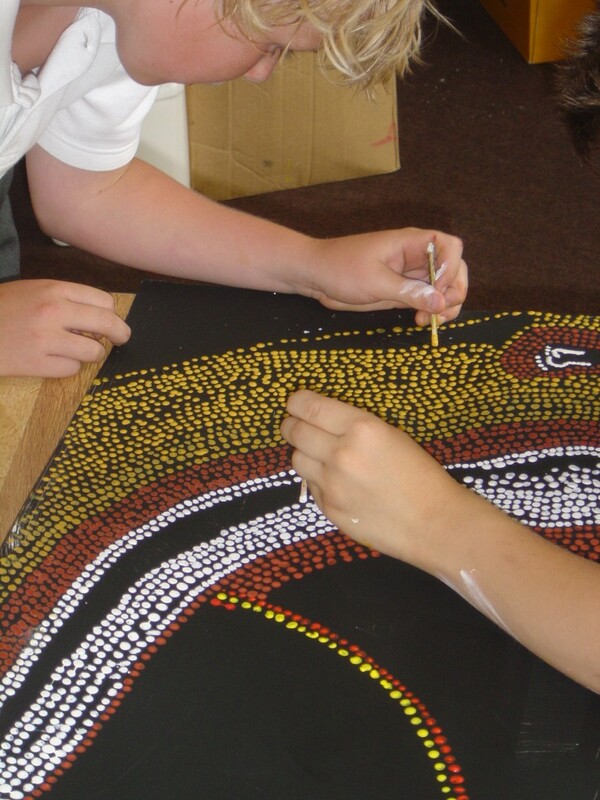 Using aboriginal dreamtime stories as a starting point, the pupils learn the symbolism and techniques of dot paintings. Working together in groups the produce large impressive paintings of the stories. 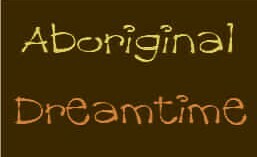 They discover the importance of the dreamtime, the symbolism, the role of colour, and how to capture both time and place. 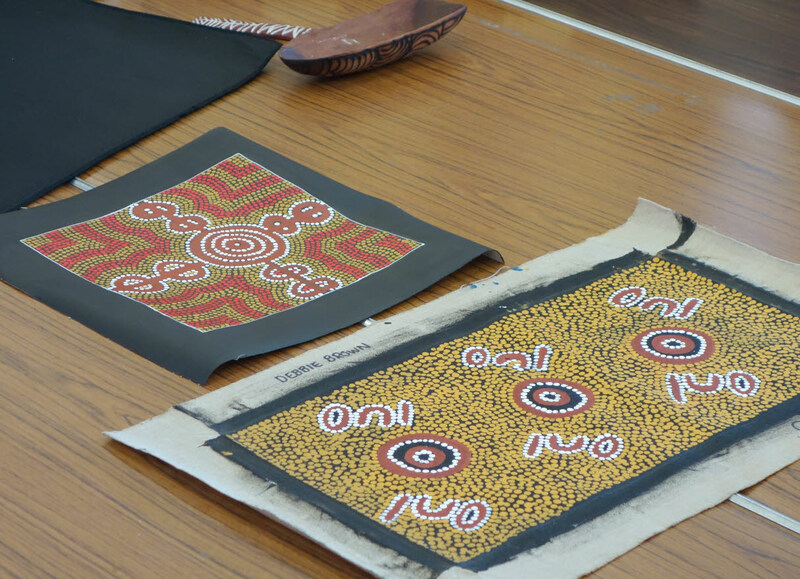 These engaging workshops are excellent for developing both teamwork and art skills. In addition the artist brings genuine aboriginal artefacts into the story-telling section of the workshop. 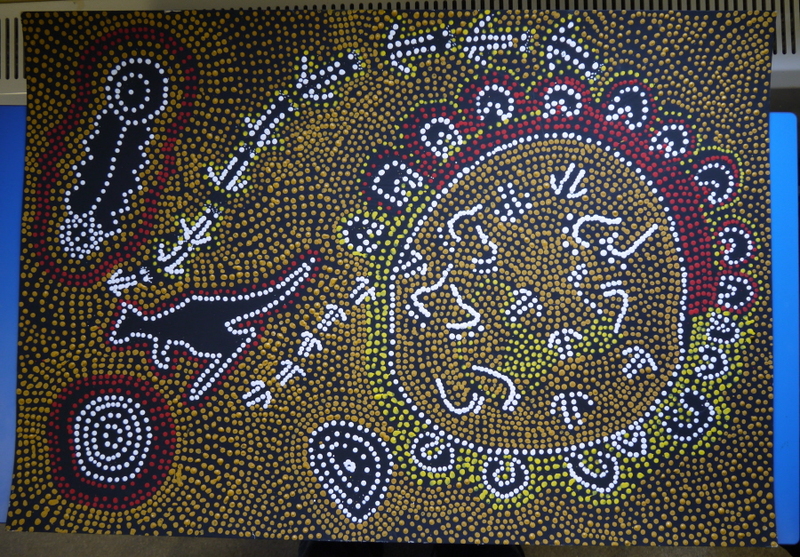 “The aboriginal artwork which arose from the drama-based story sessions was fantastic. Children of all artistic abilities were able to create individual and group pieces using the dot method.” Anona Greening, Art co-ordinator, Woodmancote Primary School.